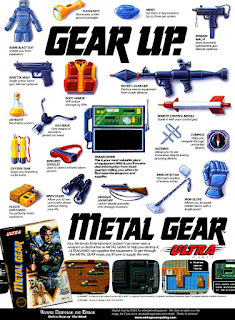 When I was a kid one of my favourite games on the NES was Metal Gear... and I barely ever played it. An older neighbour kid had a copy and this guy lived and breathed the NES. He was the kid that mastered every game that he owned and Metal Gear was no exception. He was also kind of obsessed with war and violence, so I think Metal Gear spoke to him on some other strange level that I couldn't really understand. He was actually passionate about it, in a way. Before we ever got to play the game he would explain it to us; he'd walk us through the story, like some old sage-like storyteller. His passion for Metal Gear came through and it became something more than a game. We used to actually "play" Metal Gear outside. We'd pack up old backpacks with rations - granola bars and fruit snacks - and other "items" from the game. I can remember taping two empty 2L pop bottles together for an "air tank". Then we'd grab our favourite toy guns and hit the streets to hunt down the infamous Metal Gear and save the world. Occasionally when my neighbour would bring the game over I'd give it a try, but mostly I'd just watch him complete it. He could easily do it in one sitting, so I'd seen him clear it several times. I'd go on to become a huge fan of the Metal Gear Solid series launched on the Sony Playstation in 1998, but I'd never really gone back to play the game that started it all and sparked my interest in the series. Here we are in 2015 and I'm finally sitting down and completing Metal Gear on the NES all by myself for the first time! Let's start with some brief history on the game: Hideo Kojima was a planner and game director for Konami's MSX PC division in the 80s. Before Metal Gear he had worked on a sequel to Antarctic Adventure entitled Penguin Adventure and an unreleased game called The Lost Warld. When he took on Metal Gear the combat engine wasn't working well and so he converted the game to be a stealth action game in which the player actually attempted to avoid enemies instead of straight-on attack them, which was the norm in most games at the time. 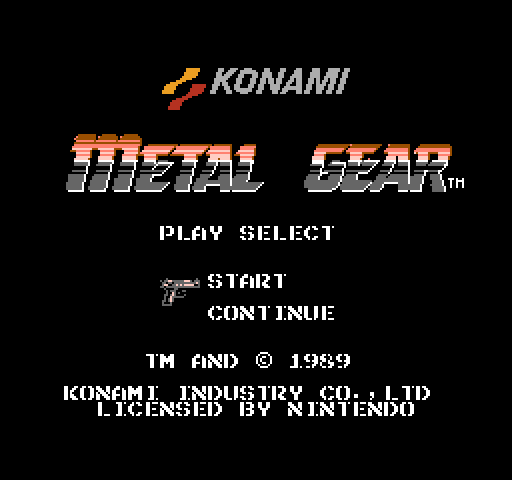 Metal Gear released in 1987 for the MSX2 in Japan and, due to its popularity, Konami quickly decided they wanted to port the title to other systems, like MS-DOS, the Commodore 64, and the NES. The NES version of Metal Gear - for most of my life the only version I knew - is known these days for being a pretty bad port of the game. The team that developed it were given three months to convert the source code from Kojima's game and make a workable NES version. As a result, there are bad translation issues, hiccups in the gameplay, and the most glaring issue of all, which I'll get to at the end of this article. I actually played the MSX2 version of the game back when it was released as a pack-in with Metal Gear Solid 3: Subsistence on the Playstation 2 in 2006. I remember thinking, "Man, this game looks so much better than the NES version!" 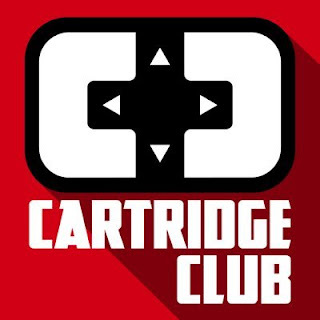 I was surprised that they didn't just release that game on the NES, not thinking about the technical limitations and difficulties in porting the game. 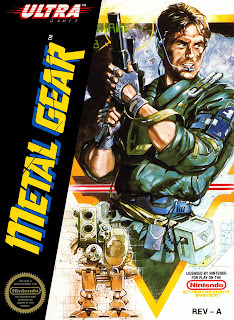 Even though there are glaring issues with Metal Gear NES, I still remember it fondly as my first foray into the world of Metal Gear, so I give it a wide berth and I just can't help that. 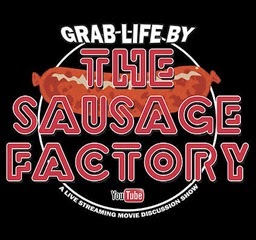 It takes a lot of flak these days, especially after The Angry Video Game Nerd spoke up about his thoughts in his Metal Gear episode in 2010, but I don't think most of it is warranted and I even think, in a few instances, The Nerd was reaching. Crazed Colonel Vermon CaTaffy poses new terrorist threat to the world. Outer Heaven leader CaTaffy has activated the ultimate super weapon: Metal Gear! Responding to the crisis, covert unit "Fox Hound" is called into action, and that's where you come into play. Trained in hand-to-hand combat and skilled in every weapon known to man, you're Fox Hound's lethal fighting machine, code named "Solid Snake". But on this mission you better be sly as well, to surprise heavily armed enemies, busting 'em up quietly and rescuing their hostages before alarms are triggered. Plus you gotta maintain radio contact with Commander South, who'll feed you crucial info on Metal Gear's whereabouts. 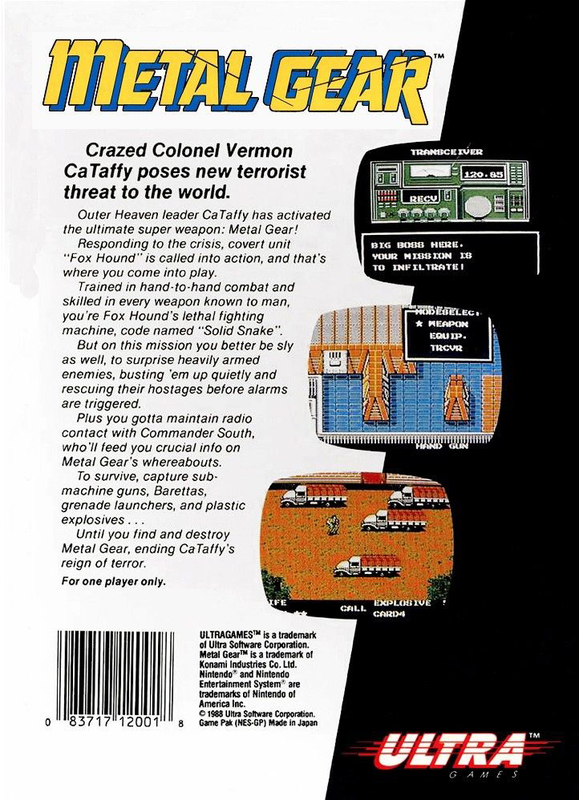 To survive, capture sub machine guns, Barettas, grenade launchers, and plastic explosives...Until you find and destroy Metal Gear, ending CaTaffy's reign of terror. Now you might be thinking, "I remember playing Metal Gear as a kid and none of this happened!" Well, you wouldn't be wrong. The tight deadlines didn't just cause issues with the game's programming, but also with its localization. At some point in the game's localization and translation process it was realized that the reveal of the true enemy (no spoilers here) in the game probably wouldn't fly with American audiences. The Persian Gulf War was nearing its end and American eyes were squarely focused on Western Asia and Northern Africa. 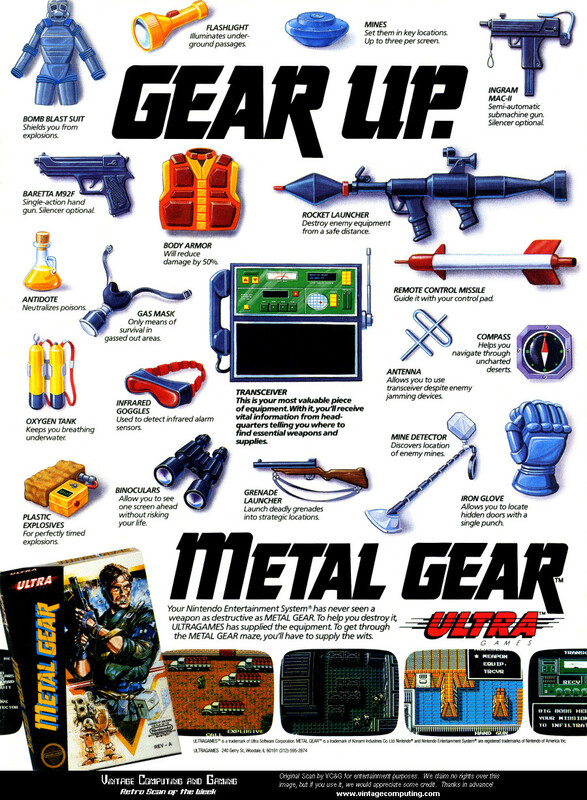 It was decided that some changes would be made to the game's story, which is reflected on Metal Gear's box and in its instruction manual. 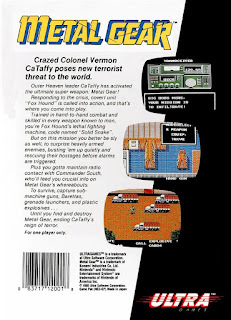 An evil mastermind was interjected, (ridiculously) named CaTaffy - an obvious spoof on Libyan leader Muammar Gadaffi - and your main contact in the game was renamed from Big Boss to Commander South. Additionally, Metal Gear was chosen as one of the Worlds of Power NES game novelizations. 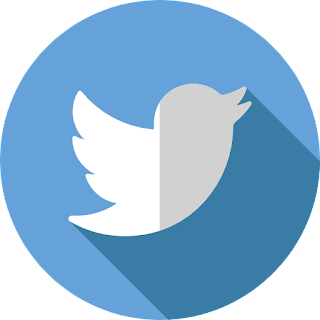 Produced by Seth Godin, written by various authors, and published under the pen name "F.X. Nine", the Worlds of Power series was an attempt to present young video game players with the stories from their favourite games in the form of short novels. The source material for these games, however, was often based on the story in the instruction manuals and then elaborated heavily by the authors. So, in the case of Metal Gear's novelization the story is centered on Justin Halley, a.k.a. Solid Snake, and his mission to take down Vermon CaTaffy and his mobile assault weapon, Metal Gear. None of this made it into the final game, however. The game largely follows the same story laid out in the MSX2 version, in which Solid Snake is sent into a militarized complex in the Eastern Pacific called Outer Heaven by Big Boss - the leader of the special forces unit FOXHOUND - on a mission to save a captured comrade and take down a new threat to the world. The game starts out with Solid Snake parachuting into the jungle surrounding Outer Heaven with nothing but his wits, his fists, and his smokes. 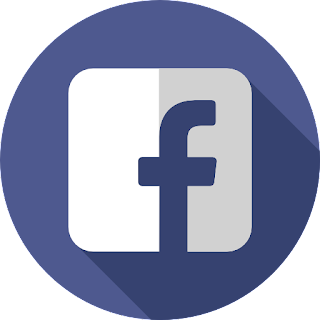 You're quickly introduced to the Transceiver: a radio that allows you to contact different individuals for help in your mission. The leader of FOXHOUND, Big Boss, calls to remind you over main mission objectives: find and save Gray Fox and destroy Metal Gear. Then you're launched into the game. It does a great job of showing you the ropes. This isn't your standard run-and-gun action title, like you'd expect from a war game. Stealth is key and you have to catch your enemies off-guard in order to take them out. In a lot of ways, Metal Gear is more like a Metroidvania crossed with a top-down action-RPG. You're essentially dropped into an open world, but you have to access certain items and keycards in order to get to the next area. If it weren't masked by the war-sim look and feel I think most people would argue that this game is an action-RPG and not a straight action shooter title. As I said, as you progress the game you'll find items to aid you on your mission: a gas mask so you can breath in poison gas-filled rooms, a flashlight to see in the dark, and infra-red goggles so you can see laser trip-beams. You'll also collect keycards that allow you to open doors to save POWs and find more weapons. Saving POWs is important as it helps you to level up your rank. You start off on Rank 1, with a very short life energy bar and the ability to hold little in the way of ammo and rations, but this is quickly remedied by saving soldiers around Outer Heaven. POWs will also give you hints and Transceiver frequencies that will help you along the way. You may start off with nothing but your bare hands to protect yourself against the enemy guards and bosses, but you'll find weapons strewn about that make taking out baddies a breeze. The hand gun can be found pretty quickly, as well as grenade launcher, and eventually a rocket launcher. Boss fights might seem tricky at first, but if you have the right weapon they're usually pretty easy to take out. You can also find a silencer along the way so that you don't alert enemies of your presence until it's too late. Lastly I'll mention rations. These items will fill up your life gauge, which is definitely a must-have at the beginning of the game when your life bar is so low. One of the short-comings of the NES version of Metal Gear is that you don't collect rations and ammo as drops from fallen enemies, like in the MSX2 version. It's not really that much of an issue, though, because you'll find rations and ammo in many rooms in the enemy base and you can leave the room and come back in to stock up. There are a few times where the game can get a little confusing as to where you should go. Much like a Metroidvania, I find if I stop playing for an extended period of time I can forget where I'm at or what objective I'm trying to accomplish and I end up wandering aimlessly trying to remember where I was. 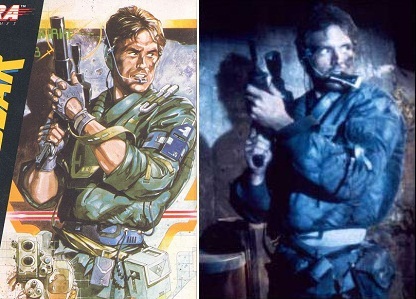 as "Kyle Reese" from Terminator for the box art. Honestly, though, I had a blast replaying Metal Gear on the NES. It is a great game, which is why it sold so well when it was released. It seems in vogue to trash it these days, especially with the MSX2 version widely available, but it plays really well. 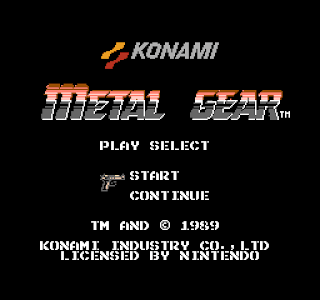 There are some hiccups; the menus are a little annoying to navigate when switching between items and weapons, but that's an issue in any version of Metal Gear that you'll play. Also, continuing after a death or from a password can drop you really far away from where you were last playing, which is a bit aggravating, but also par for the course with NES titles. Other than that, the story is very cool, the translation isn't all the bad, and you kind of feel like you're playing out an 80s action film when you play Metal Gear. Even when I was dying over and over and having to remember where I'd left off I was having fun sneaking around the different buildings. The MSX2 version is a much more polished and well-developed game, I'll admit that. On the whole, however, the two games are pretty much the same. Most of the differences between the two would initially seem like laziness on the part of the programmers, but it is all due to the tight time restriction the team had in turning around the NES port. An awesome ad for Metal Gear! The most glaring difference between the MSX2 and NES versions of the game is the final boss, and it's a doozy. As you would expect in the MSX2 version of Metal Gear the final boss is the Metal Gear itself. In fact, I'd dare say you'd expect that to be the case with any version. Unbelievably the NES version of the game doesn't feature the Metal Gear as the final boss or anywhere in the game! Instead you have to destroy a Super Computer, which apparently controls the Metal Gear. In the original title Dr. Pettrovich, one of the captives in Outer Heaven and the creator of Metal Gear, teaches you the specific steps that are required to destroy his weapon, but in the NES version none of that is present. You just have to fight the Super Computer and call it a day. I often wonder if Konami thought anyone would notice that the end boss wasn't Metal Gear, but were just so rigid with the timelines that it didn't matter to them. I picture some smarmy executive saying, "Most kids won't even reach the end of the game. Who cares!?" In the end Metal Gear NES isn't a bad game at all. It has it's problems, but it plays almost identically to its MSX2 counterpart. I think it's only by comparison that it gets a bad rap these days. Regardless of what you think of the game I've had blast playing it these last few weeks. It sparked all the nostalgia centres in my brain and I enjoyed every minute of it. Writing this actually got me thinking about the Metal Gear series as a whole. Metal Gear Solid V: The Phantom Pain is being released on September 1st, 2015 and could be the end of the franchise. If you were to ask me about my favourite video games or game series I don't think I'd often say Metal Gear, but in reality I've been eagerly following these titles since the NES. I bought a Sony Playstation just to play Metal Gear Solid, bought a Playstation 3 just to play Metal Gear Solid 4: Guns of the Patriots, and Metal Gear Solid 3: Snake Eater is one of my favourite games of that era. I may need to rethink my list of favourite video games! Metal Gear for the NES is definite recommendation.